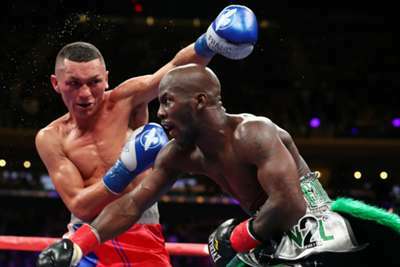 Tevin Farmer retained his IBF super featherweight title with victory over Francisco Fonseca prior to Saul 'Canelo' Alvarez's showdown against Rocky Fielding. With the Madison Square Garden crowd eagerly awaiting the Canelo-Fielding bout, Farmer stepped into the ring and defeated Fonseca by unanimous decision on Saturday. Judges scored the fight 117-111 in Farmer's favour as the 28-year-old American closed out 2018 with victory in New York. Elsewhere on the undercard, Sadam Ali moved back down to welterweight and outpointed Mauricio Herrera over 10 rounds. Former junior middleweight holder Ali prevailed 98-92, 99-91 and 100-90 against the tricky veteran. Ryan Garcia (17-0) preserved his unbeaten record with a fifth-round knockout of Braulio Rodriguez and Irish star Katie Taylor retained her WBA and IBF lightweight titles via decision. There were also victories for Lamont Roach, Yves Ulysse Jr. and Bilal Akkawy.